��� ������� �� ������������ ������������� ������� <audio>. with a win for Vitali! 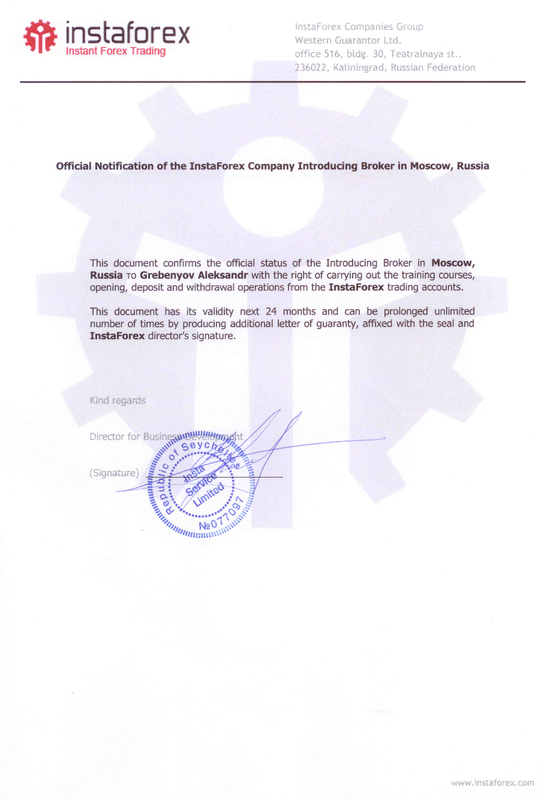 Certificate of work with traders. InstaForex - Impeccable quality, reliability and a wide range of provided services and offers. Three consecutive years «The best broker in Asia». Team sponsor «Formula 1», hockey top club «Zvolen», english football club «Liverpool», rally raid teams «Dakar» InstaForex Loprais. Read reviews and see awards broker. Provides the opportunity to work on 107 currency instruments and more than 200 CFD instruments for futures and stocks, carry out transactions on GOLD, and also provides ECN-broker services. For each of these tools, competitive and efficient spreads are provided that allow customers to work in the most comfortable conditions. 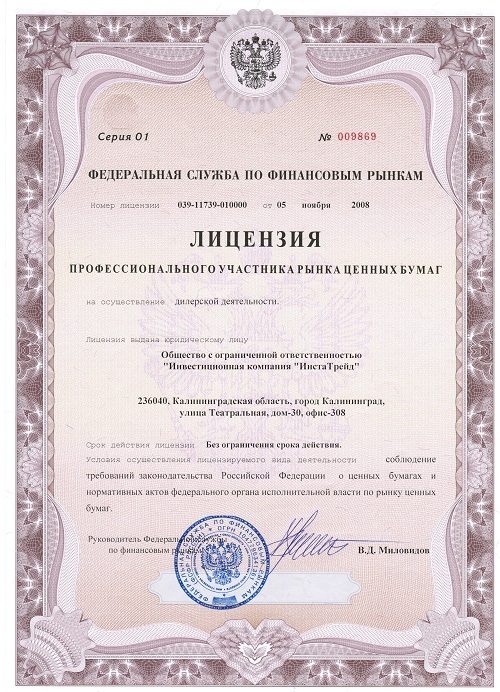 Brokerage license: License № 039-11737-100000 от 05.11.2008. Without limitation of validity. 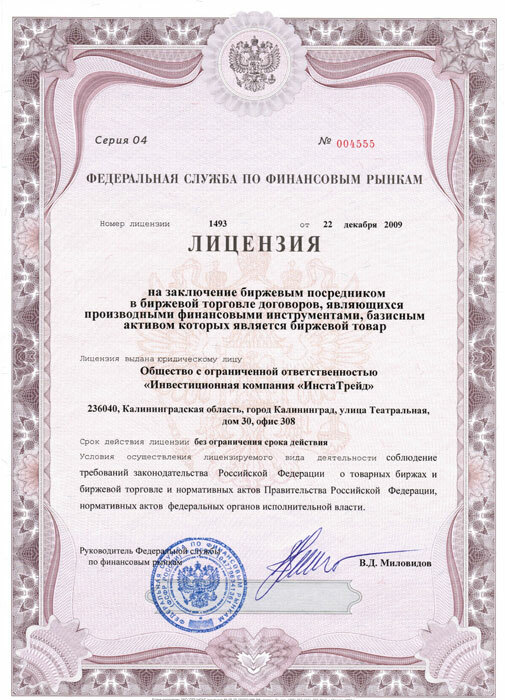 Dealer License: License № 039-11739-010000 от 05.11.2008. Without limitation of validity. 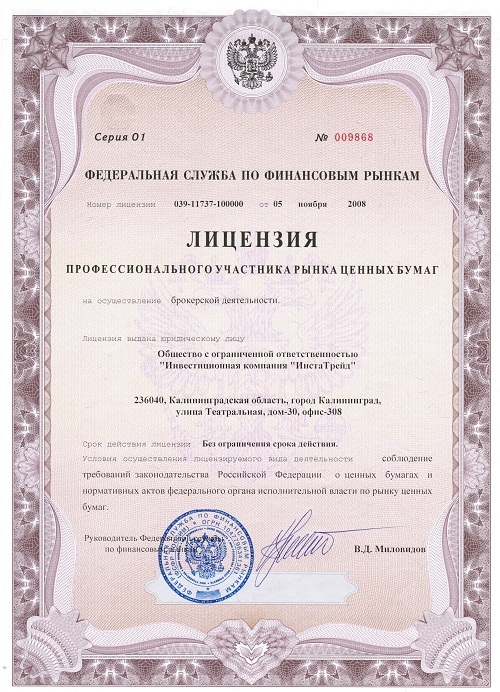 Exchange intermediary license: Лицензия № 1493 от 22.12.2009. Without limitation of validity. InstaForex specialists provide technical support to customers on a daily basis and around the clock. Even if you work on a demo account, you can count on a competent consultation and receive answers to all your questions. Support contacts. The InstaForex dealing center is one of the few companies offering clients the services of hedging and implementing a program aimed at hedging the underlying asset. The minimum deposit is $1. A bonus of 30% (leverage up to 1: 1000) or 55% (leverage up to 1: 200) is added to the funds deposited on deposit with each replenishment of the trading account. More about bonuses. The interest rate of 13% per annum is charged to all real accounts of InstaForex clients at the end of each month. Learn more about charging. InstaForex does not expand the spread on the news, which allows traders to be sure that the sharp jumps will not lead to unstable results in their trading strategy. Making a deal on a swap-free account for any currency pair, when the position is transferred through midnight, the trader does not receive and does not lose any amount, regardless of the volume of positions. Even if you hold trades for a long time, the trader can be sure that the outcome of his transaction will be affected only by the course's behavior. More about swaps. A unique opportunity for traders to participate in the PAMM and ForexCopy simultaneously with one trading account. Participation and monitoring begins on the first day of trading. What is a future or futures contract? Futures is a derivative financial instrument, a standard fixed-term contract for the purchase and sale of a basic asset, at the conclusion of which the parties (the seller and the buyer) agree only on the price level and the delivery time. They were designed to reduce risks for the owner of the underlying asset. In the company InstaForex launched "Option trading cabinet". Option trading involves working with contracts that give a fixed profit with severely limited risks, determined by the trader himself. More about options. InstaForex customers can pay up to 50% of the cost of their purchases made in the branded goods store, InstaForex points. Bonus points are automatically credited to all real accounts with each closed transaction. Broker's partners can also earn points, making trading transactions in the foreign exchange market, or receive them with each closed transaction of attracted customers. More about bonus points. Receipt of the card $16. Monthly service is $1. Cash withdrawal in ATM $3. The transfer of funds from the card to the trading account is free of charge. Transfer of funds to the card from the trading account 1% (1-7 working hours). The daily withdrawal limit for the card is $2500. The daily limit for payment for goods and services is $2500. More about the card. Each participant of the partner program of InstaForex company has the opportunity to apply for the transition to a VIP-affiliate program, which has significant advantages over the usual one. Among them - raising the reward to two points from each transaction, and a personal approach to the owner of the partner account. And InstaForex also offers all partners to participate in a unique bonus promotion: $500 to each partner! In order to become the owner of $500 from InstaForex it is enough to attract at least 10 clients to your partner group. More about cooperation. InstaForex Company regularly conducts a series of actions and competitions for its clients with an annual prize pool of more than $500000. At the same time, the prize fund of the company is constantly growing. At the moment, every owner of a trading account in InstaForex company can take part in a series of monthly and weekly competitions and get a part of the prize fund. More about the competitions. Miss Insta Asia beauty contest is a project of the international Forex broker InstaForex. Miss Insta Asia is the most unusual beauty contest in the whole world of the Internet. The contest is mainly aimed at the girls of the Asian part of the world, however, every girl who wants to take part in the competition and compete for the title of Miss Insta Asia, regardless of the place of residence. More information about the contest. Best regards, Aleksandr. Regional representative InstaForex. © mt4trading.ru, 2008-2016. All rights reserved. Необходимо осознавать, что торговля на валютном рынке требует знаний и значительного опыта, а также способности определять объем инвестирования и оценивать связанные с этим риски.